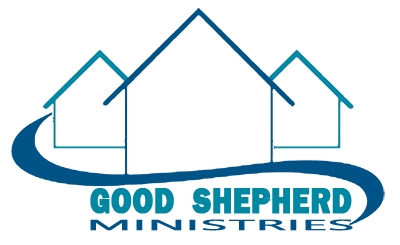 Thank you for visiting the Good Shepherd Ministries website. The protection of your privacy is important to us. This privacy statement discloses what information we gather and how we use it. Because this site accepts online donations, certain personally identifiable information is collected. The types of information we collect include names, addresses, e-mail addresses, telephone numbers and credit card information. We may also collect other non-personally identifiable information about your computer such as the type of browser you are using or the domain name of your Internet Service Provider. The Good Shepherd Ministries is the sole owner of the information collected on this site. We will not sell, share or rent this information to others in ways different from what is disclosed in this statement. The personally identifiable information collected by the Good Shepherd Ministries site is used to fulfill online donations. We may also use this information to send users further details about the Good Shepherd Ministries and its upcoming events, programs and projects. Non-personally identifiable information may be used in aggregate form to analyze the usage of our site and improve site design and interface. This information that we collect will not be disclosed to third parties unless in response to a legal claim or law enforcement agency’s request. Cookies are small text files stored by your browser on your computer’s hard drive. Cookies do not contain personally identifiable information. They enable us to provide a more seamless experience for our users. For example, by setting a cookie for our site, the user would not have to log in with a password more than once, thereby saving time while navigating our site. If a user rejects the cookie, there may be areas of our site that are restricted. Cookies can also enable us to track and target the interests of our users to enhance the experience of our site. This website contains links to other sites. The Good Shepherd Ministries is not responsible for the privacy practices of other sites. This privacy statement applies solely to information collected by this website. This website has made commercially reasonable efforts to protect our users’ information with appropriate physical and electronic procedures to prevent unauthorized access both online and off-line. Only employees who need the information to perform a specific job are granted access to personally identifiable information. Users may provide feedback by sending an e-mail to: info@thegsm.net. Any contact information entered when providing feedback will only be used to acknowledge or respond to that feedback.